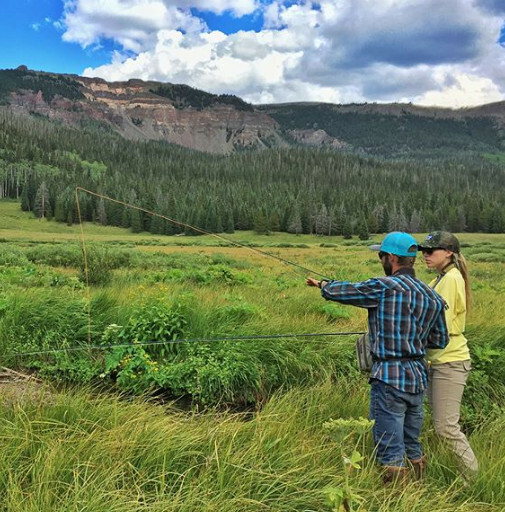 These trips are designed for adventurous fly-fisherman and those wanting to fish some of the most remote wilderness streams and lakes in the lower 48. 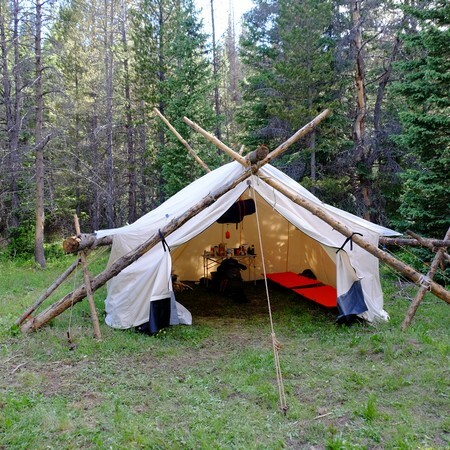 Guests should be prepared for camping in comfortable wall tent camps, 8-15 miles into the Flat Tops Wilderness Area. It is not uncommon for fisherman to go all four days and never see another human outside of their group while fishing. These trips include a fishing guide, horses or transportation by 4×4 for the duration of the trip, and well equipped camps. 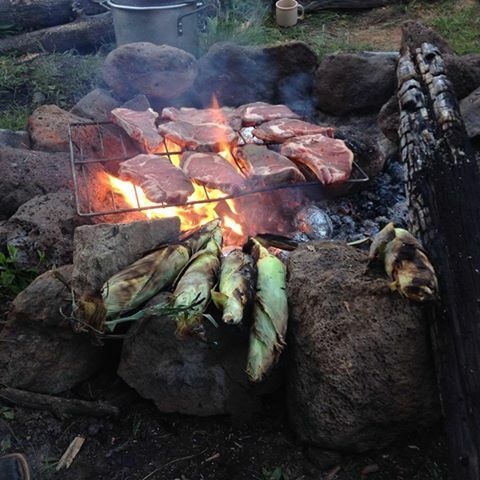 Meals are prepped “wilderness style” with open fire cooking and dutch oven cooking mixed in. 4 Day trips start at $1,500 per person with a 2 person minimum. *Price includes guide, three meals a day, drinks (excluding alcohol), and all fly fishing gear. 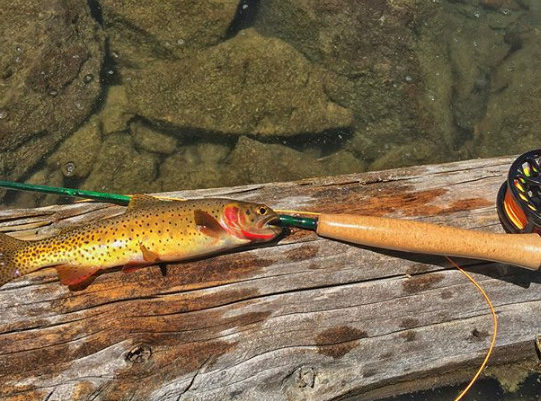 Price does not include fishing license or guide tip (typically 10-20%). Please purchase license before arrival. 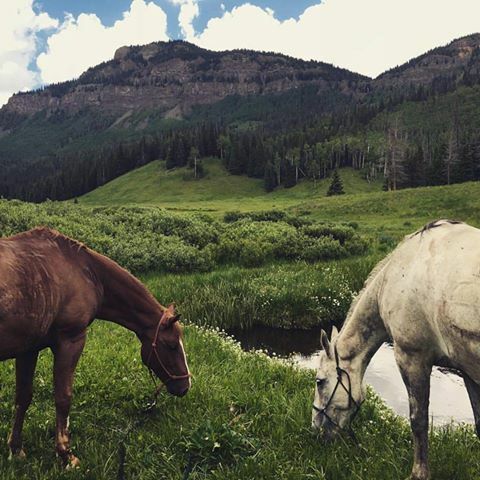 *Our ranch is located approximately one hour and twenty minutes from Vail, one hour from Eagle or Glenwood Springs. Because of our remoteness, we rarely run into other people (hikers, horseback riders, bikers, etc…) during our trips. Trips are in a truly pristine wilderness, the kind of place that no longer exists closer to the ski towns. Saturday – 7AM Guest arrival. Pack into camp via 2-3hr ride/drive. 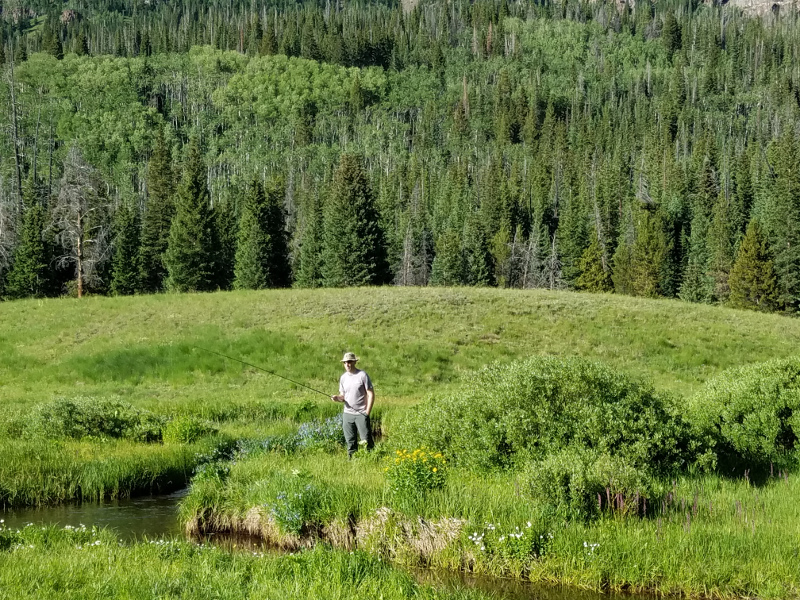 Afternoon wilderness stream fishing. 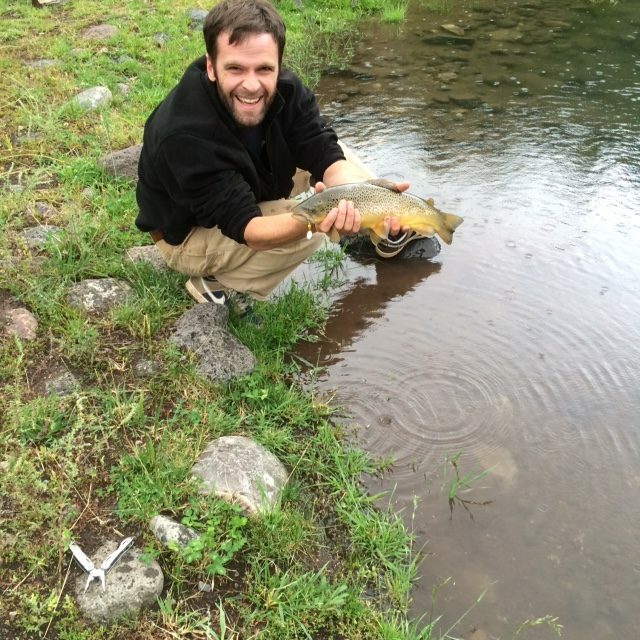 Sunday – Wilderness lake fishing. 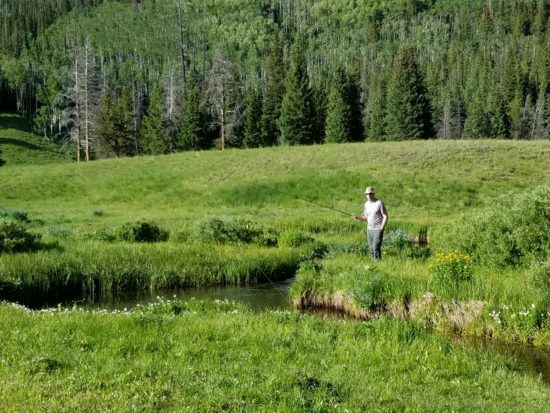 Monday – Choice of Wilderness Stream or Lake fishing. 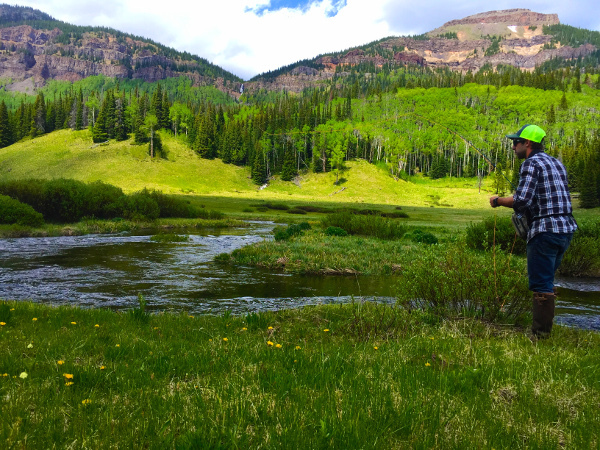 Tuesday – Morning stream fishing, afternoon packout. 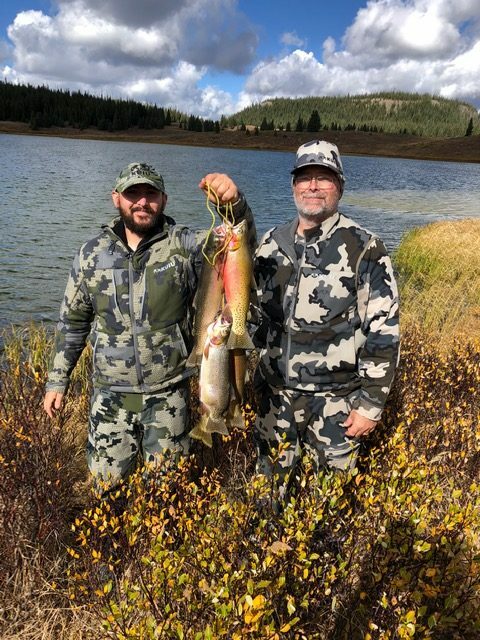 We provide focused high country fishing trips in the wilderness area and private small stream fishing. Our day trips are operated out of our ranch and pack-station. 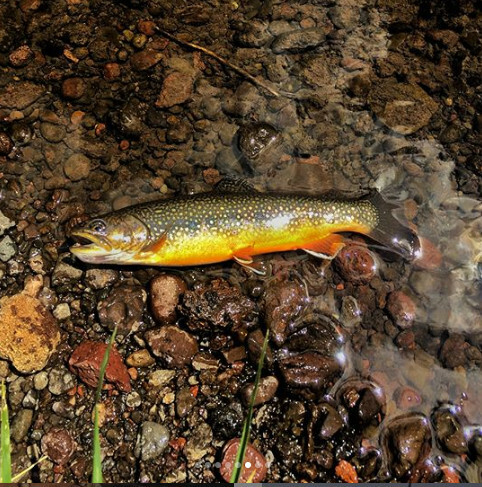 On our wilderness trips fishermen should expect to ride a minimum of 1.5 hrs each way. These rides take you through beautiful country to pristine lakes and alpine streams. 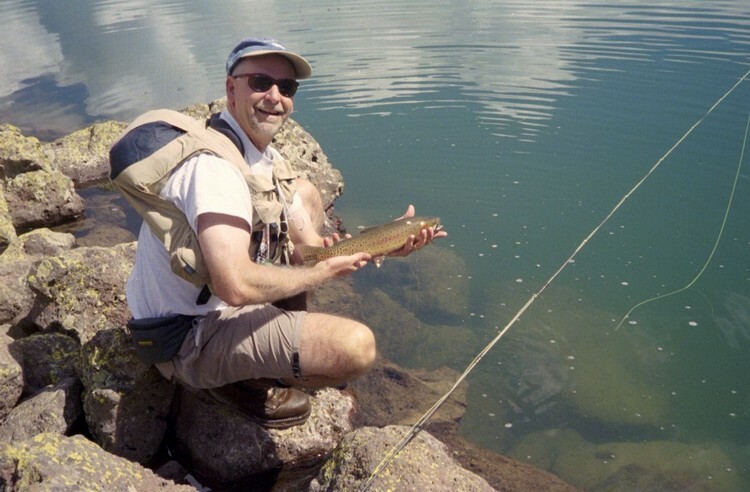 The primary catch on our day trips is brook trout and cutthroats. Day trips include riding horses, a basic coffee/pastry breakfast, camp fire cooked lunch and a dedicated guide per 2-3 guests. Day fishing trips are $225 per person with a 2 person minimum. 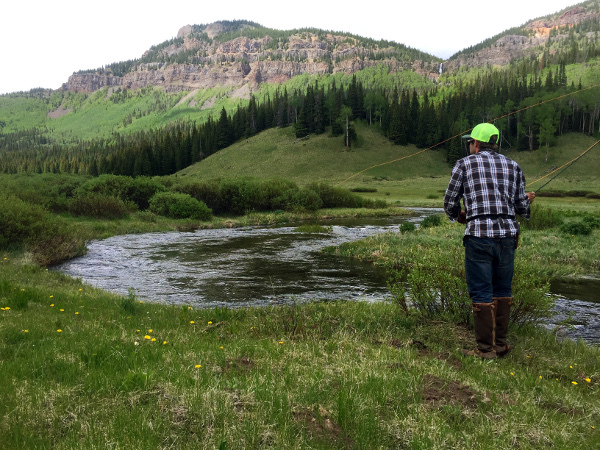 *Price includes guide, meals described in service description, drinks, and all fly fishing gear. Price does not include fishing license or guide tip (typically 10-20%). Please purchase license before arrival. 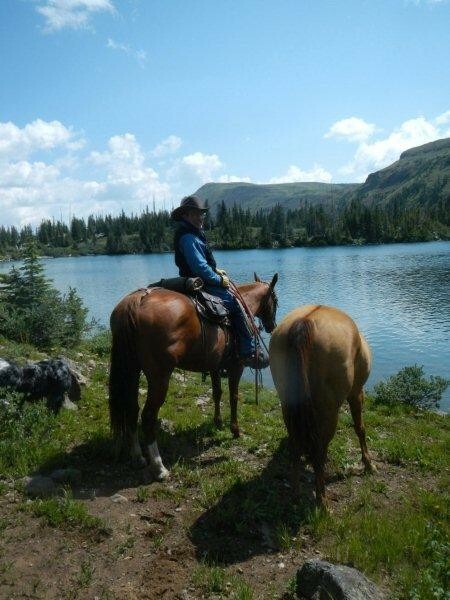 *Our ranch is located approximately one hour and twenty minutes from Vail, one hour from Eagle or Glenwood Springs. Because of our remoteness, we rarely run into other people (hikers, horseback riders, bikers, etc…) during our trips. Trips are in a truly pristine wilderness that no longer exists next to any of the ski towns. 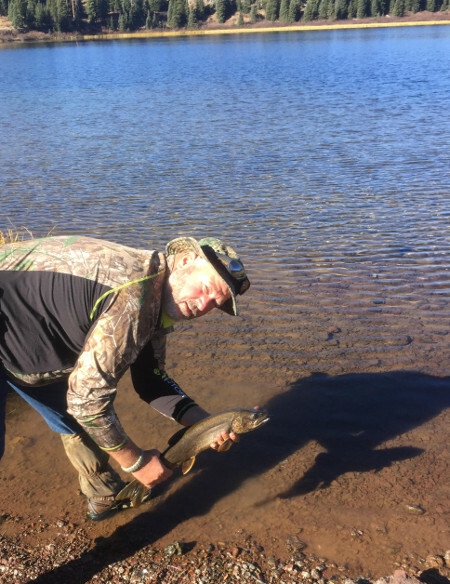 On our 2 day wilderness trips, we can go after the larger lake trout in addition to brookies and cutts. All 2 day trips are customized to your preferences. 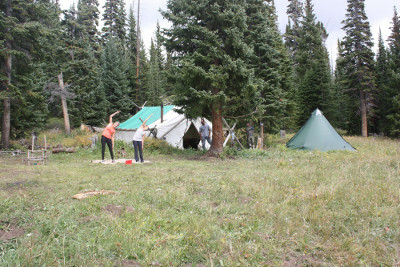 Keep in mind that we use small temporary camps for these trips. 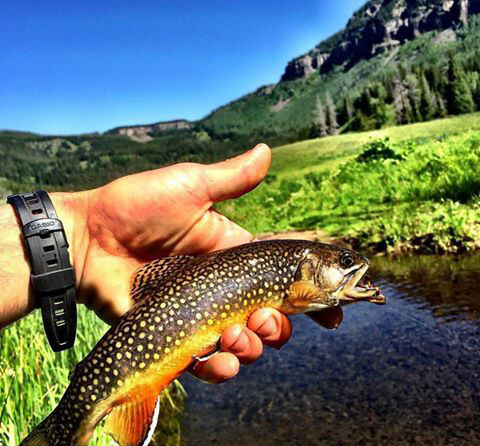 These trips are for the more adventurous and get you into some unique fishing areas. 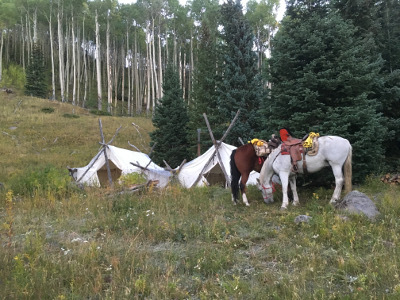 The 2 day adventure trips includes three meals each day, tent camp, dedicated guide per 2 guests, riding horses and pack mules. 2 Day trips start at $800 per person with a 2 person minimum.